So what does this picture shows? 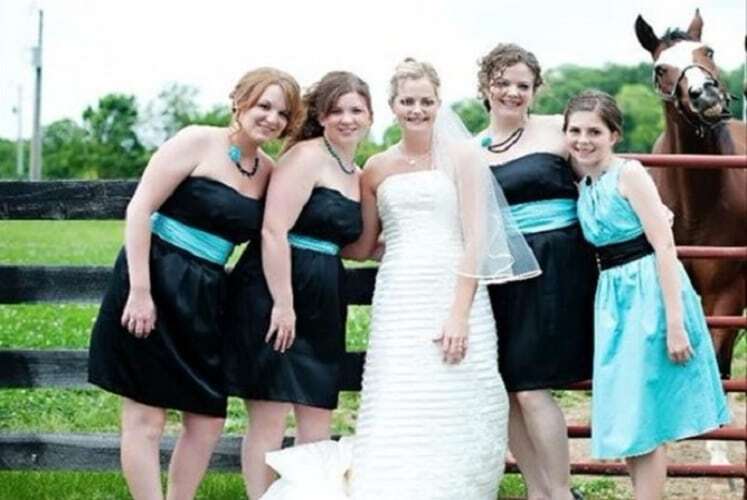 It shows a family horse eager to be in the picture with the bride and her bridesmaids. The horse apparently appears he is enjoying the photo-shoot. 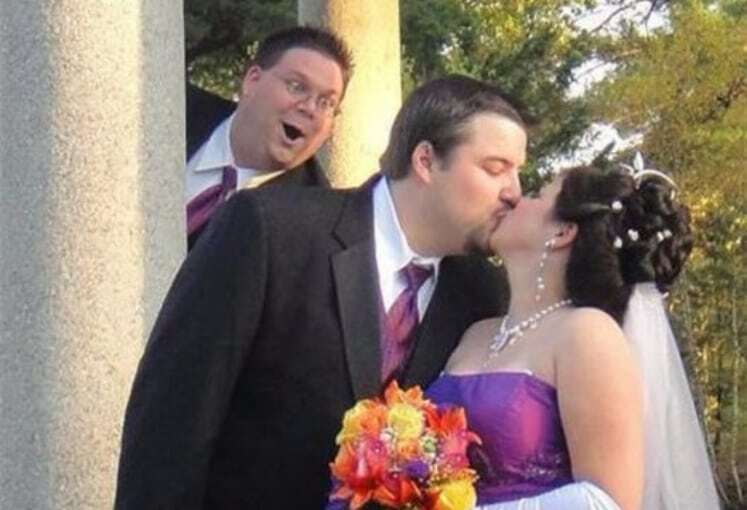 The guy being sneaky must be a close friend of the couple because if he weren’t, peeking on them would be odd. Only absolutely close people could have the guts to do such thing. The couple is lovely, aren’t they? The bride looks so happy! 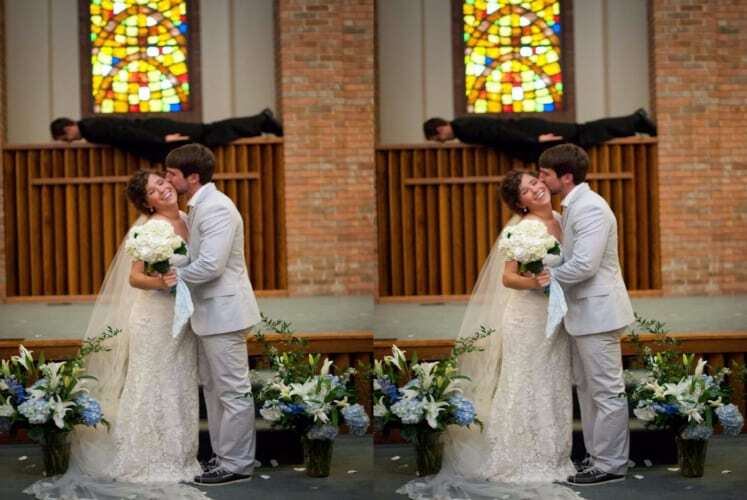 Then there is the guy on the back pretending to be a human display. But, who will fall for that trick? 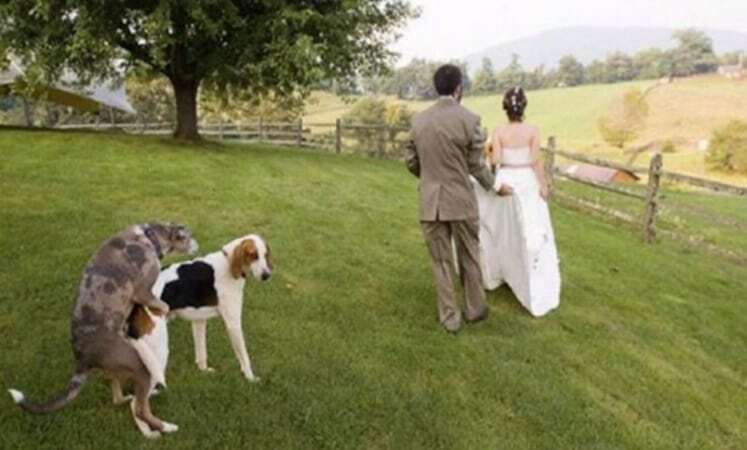 The dogs mating while the couple is being photographed are probably one of the most embarrassing photo bombs ever. Luckily, they don’t care about it all. 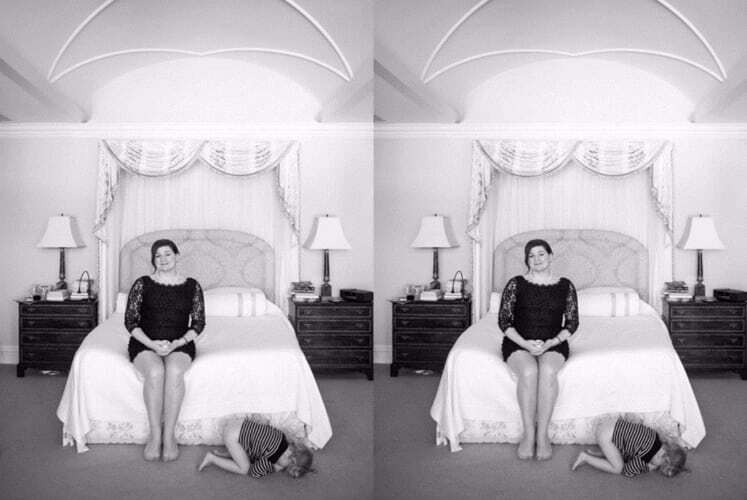 Looks like the little girl isn’t very enthusiastic about the photo shoot that she just dropped to the floor and cry. Because the picture is in black and white, the little girl was not very apparent at first sight.